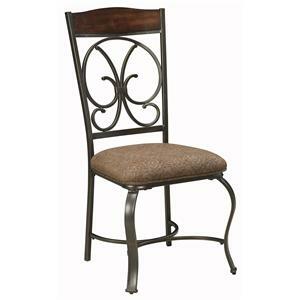 This side chair's transitional style is perfect for dressing up your dining room with a dash of modern style. 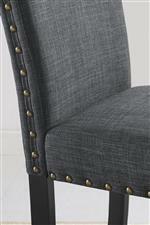 Details such as the nailhead trim accenting and sleek design give this chair a classic look that will always be in style. The Wallace Transitional Dining Chair with Nailhead Trim by Crown Mark at Casa Leaders Inc. in the Wilmington, Long Beach, Torrance, Lakewood, Los Angeles area. Product availability may vary. Contact us for the most current availability on this product. 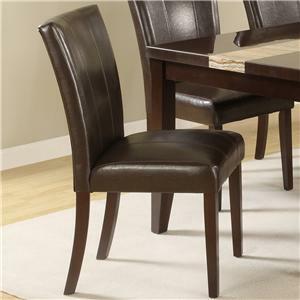 This stylish dining collection's transitional design is a perfect way to update your home with a sleek yet classic look. Clean lines are paired with metal accents and gray upholstery to modernize these pieces, ensuring a flawless fit with your small scale dining room or open concept home. 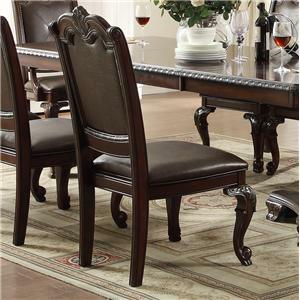 The Wallace collection is a great option if you are looking for Transitional furniture in the Wilmington, Long Beach, Torrance, Lakewood, Los Angeles area. Browse other items in the Wallace collection from Casa Leaders Inc. in the Wilmington, Long Beach, Torrance, Lakewood, Los Angeles area.